It’s that time of year. As 2017 comes to an end it’s time for reflection. And one thing I find myself thinking about is all the great books I’ve read this year. I love reading and, although as a writer myself, I consider reading to be vital in helping my own writing to develop, I’d read whether or not it helped me as an author. I’ve read around thirty books in the last twelve months and I’ve reviewed many of them here on the blog. My 2017 reads have come from a mixture of genres and have been both fiction and non-fiction. I’ve enjoyed some more than others. That’s to be expected. But even with the ones I didn’t enjoy or gave up on, I felt I’d achieved something – even it was simply that I learned I didn’t like a particular author’s style and why it didn’t appeal to me. Did I keep reading the book way past my usual go-to-sleep-time? Did I find myself thinking about the book between bouts of reading it and after I’d finished it? Did I not want to get to the end but simultaneously was desperate to see how it would play out? If I answered yes to all three the book made it to the cut. Have you read any of the above? Did you enjoy them? What would be your top choice(s) from your own 2017 reading list? And before I go, I’d like to thank everyone who has followed the blog over the last twelve months, and everyone who has taken the time to read the posts and to comment on them. I appreciate it. I’m taking a short blog break over the festive season and will be back on the 8th January 2018. Book number 22 in the 26-books-in-52-weeks challenge has to be a memoir or journal. I enjoy reading books which come into this category. I like that they tend to follow a particular theme or a specific period of time in the author’s life. This makes them less dry than straight forward biography or autobiography. For me a good memoir or journal will present the reader with thoughts, stories and reflections that they can relate to, be inspired by or take comfort from. 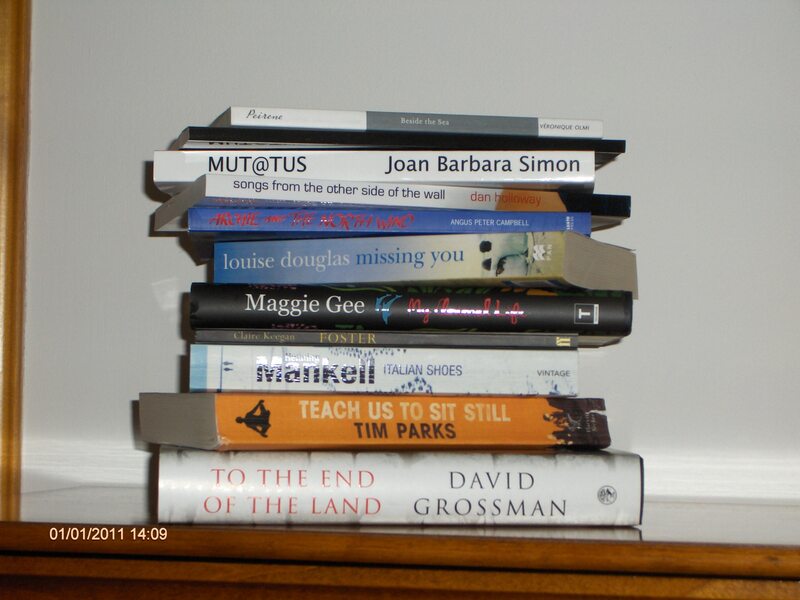 Out of the many memoirs/journals that I’ve read, six spring to mind as worth a mention. The Wilderness Journeys by John Muir: Muir was born in 1838 in Dunbar in Scotland and he is credited as being the father of American conservation. His name has become synonymous with the preservation and protection of wilderness and wild land. At over 600 pages it’s a big book bit it’s an easy and rewarding read. It’s a collection of Muir’s writings gleaned from his journals. And in the words of the back cover – These journals provide a unique marriage of natural history with lyrical prose and often amusing anecdotes, retaining a freshness, intensity and brutal honesty which will amaze the modern reader. Findings by Kathleen Jamie: Jamie is also a Scot and her writing is exquisite. From the book’s back cover – It’s surprising what you can find by simply stepping out to look. Kathleen Jamie, award winning poet, has an eye and an ease with the nature and landscapes of Scotland as well as an incisive sense of our domestic realities. In Findings she draws together these themes to describe travels like no other contemporary writer. Whether she is following the call of a peregrine in the hills above her home in Fife, sailing into a dark winter solstice on the Orkney islands, or pacing around the carcass of a whale on a rain-swept Hebridean beach, she creates a subtle and modern narrative, peculiarly alive to her connections and surroundings. The Old Ways by Robert McFarlane: McFarlane, is an English nature writer and in this book he records and reflects on his thoughts whilst out walking in the natural landscape. From the back cover – Following the tracks, holloways, drove-roads and sea paths that form part of a vast ancient network of routes criss-crossing the British Isles and beyond, Robert Macfarlane discovers a lost world – a landscape of the feet and the mind, of pilgrimage and ritual, of stories and ghosts; above all of the places and journeys which inspire and inhabit our imaginations. Angela’s Ashes by Frank McCourt: Irish-American author, McCourt was born in New York but grew up in Ireland and in this book he writes about growing up in poverty in Limerick. It is honest, funny and poignant writing. From the book’s back cover – Frank McCourt’s sad, funny, bittersweet memoir of growing up in New York in the 30s and in Ireland in the 40s. It is a story of extreme hardship and suffering, in Brooklyn tenements and Limerick slums – too many children, too little money, his mother Angela barely coping as his father Malachy’s drinking bouts constantly brings the family to the brink of disaster. It is a story of courage and survival against apparently overwhelming odds. The Life and Times of the Thunderbolt Kid by Bill Bryson: In complete contrast to the above memoir, travel writer, Bryson’s account of his childhood in the 1950s and 60s in Iowa is laugh-out-loud funny. From the back cover – Bill Bryson’s first travel book opened with the immortal line, ‘I come from Des Moines. Somebody had to.’ In this deeply funny and personal memoir, he travels back in time to explore the ordinary kid he once was, in the curious world of 1950s Middle America. It was a happy time, when almost everything was good for you, including DDT, cigarettes and nuclear fallout. This is a book about one boy’s growing up. But in Bryson’s hands, it becomes everyone’s story, one that will speak volumes – especially to anyone who has ever been young. The Learning Game by Jonathan Smith: As a teacher myself, I found lots to relate to in Smith’s account of his teaching career. From the back cover – We are all caught up in our children’s lives. We all remember our own schooldays and, as parents, we watch anxiously as our children go through it. As we look at the world of teaching from the outside we wonder not only what is going on but what we can do to help. Jonathan Smith, a born teacher and writer, takes us on his personal journey from his first days as a pupil through to the challenges of his professional and private life on the other side of the desk. He makes us feels what it is like to be a teacher facing the joys and the battles of a class. How do you influence a child? He describes how you catch and stretch their minds. What difference can a teacher make, or how much damage can he do? Should clever pupils teach themselves? What works in the classroom world and what does not? And while influencing the young, how do you develop yourself, how do you teach yourself to keep another life and find that elusive balance? This is a compelling and combative story, warmly anecdotal in approach, yet as sharp in its views of the current debates as it is sensitive in its psychological understanding. From the first page to the last, and without a hint of jargon, this inspiring book rings true. So, are memoirs and journals something you enjoy reading? If so which ones stand out for you? As a follow up to last week’s post about my own father, I’m posting again today, the day after Father’s Day in the UK, about dads. When I began thinking about who I’d put on my list, I was surprised how difficult it was to come up with a few. I decided not to ask for Mr Google for suggestions and to just trawl my memory – so it it would indeed be my list. Lots of what I’ve read has had absent fathers, bad fathers or no mention of fathers. I could come up with a few good fathers from my childhood and young adult reading and two from my most recent reading, but for all the years of reading in between I was struggling to come up with any. There’s perhaps a PhD thesis in why they seem scarce. Or perhaps this says more about what I choose to read than about whether these male characters exist or not. I’d be interested to know what readers think about that. From childhood and Enid Blyton’s first book in the Malory Towers series, it would be Mr Rivers, the father of main character, Darrell Rivers. She’s having a hard time settling into her new boarding school until her surgeon dad saves the life of her fellow pupil and future best friend, Sally who needs her appendix out. Not the easiest example for dad’s to follow but hey surely, if you’re kid is having trouble making friends or being picked on at school, it would surely be worth it to get yourself off to medical school. From later childhood reading, I would nominate Mr March. He is the much loved father of the four March girls in Little Women by Louisa May Alcott. He’s absent for most of the book, but in a good way as he’s off being an army chaplain during the American Civil war. His absence is a significant presence (if you see what I mean) and is central to the story. From my young adult reading days, best father has to be Atticus Finch in Harper Lee’s, To Kill a Mocking Bird. His integrity, honesty and respect for his fellow humans makes him just the best role model. And coming up to date, my final two are from my current weakness for contemporary crime fiction. Firstly, there’s Detective Superintendent William Lorimer who is the lead cop in Alex Gray’s novels. He’s not actually a father but in Keep the Midnight Out his longing to be a father is poignantly told as he and his wife come to terms with infertility. And finally, it’s another detective, this time Jimmy Perez from the Ann Cleeves, Shetland set crime novels. He’s a flawed but loving step-dad, struggling to do the best for his step-daughter. So, who’d be on your list? I read this debut novel when I was ill in bed with flu – and I was transported. I was taken away from my aches, pains, shivers and sweats to a wonderful, warm, French summer. Even better it was a childhood summer. I was quickly immersed in the sights, sounds and scents of five-year-old Pea’s world. 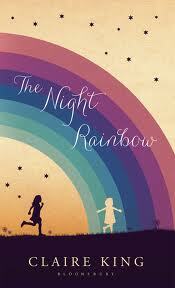 And the story this engaging young narrator tells is moving, powerful and oh so vivid. As the summer passes Pea and her younger sister, Margot are left to fill their days as they please in the meadows and fields near their house. Pea’s widowed and pregnant mother is so pre-occupied with her own grief that she is unable to carry out any mothering duties. Indeed she spends most of her time in bed engulfed in and weakened by her sorrow. It’s not an easy thing to tell a grown-up story through the eyes of a child and to render it realistic and poignant for adult readers but Claire King makes it look simple. This is an enchanting and charming book which will make you both smile and reminisce about the innocence of childhood – and feel sad at the loss of that innocence that adulthood brings. Wow! I just read a scintillating wee sparkler of a children’s book. I’ve been a primary school teacher for nearly thirty-five years. I’ve worked with the full age range from four to twelve. For most of the last decade I’ve worked with children with special needs alongside their ‘mainstream’ peers. During my career, I must have shared hundreds of books with children. Amongst those books there have been gems and there have been disappointments. Some of the gems are ones that I have owned and shared with my pupils for most of those thirty-plus years. They range from picture books to full length novels. So I feel at least a little qualified to judge what makes a good book for children. And I’ve just read another gem. The Wishnotist by Trevor Forest is a diamond. As I’ve done with most of Trevor’s books, I shared the reading with some of the pupils at the primary school where I teach. They were wowed too. 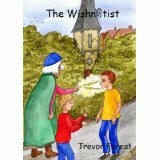 The Wishnotist is a wise, witty, warm, wacky, weird and wonderful story. It’s an action-packed tale with the moral ‘be careful what you wish for.’ It’s a contemporary story full of characters and references that are instantly recognisable to the target readership – i.e. children in the upper stages of primary school and early high school. The pace of the storytelling is also perfectly judged for this age group. But what makes it really stand out is that although it has elements of fantasy and magic and although it is also humorous in places, it is a story with real depth. Jack, the main character, has to resist the pressure put on him by the mysterious Wishnotist to reveal his heart’s desire and make a wish. The story addresses Jack’s typically adolescent confusion and emotional turmoil as he copes with growing up, with his ambiguous feelings towards his disabled brother and his first experience of fancying a girl. And when he does eventually cave in to the Wishnotist’s pressure, the ending is poignant and moving. Back in March last year I reviewed Trevor’s book ‘Peggy Larkin’s War’ here on the blog. Since then I’ve read Trevor’s other books -‘Abigail Pink’s Angel’, ‘Faylinn Frost and the Snow Fairies’, the ‘Magic Molly’ trilogy – all about a young trainee witch – and the outrageous and hilarious ‘Stanley Stickle Hates Homework’. Trevor’s gift for writing for children is characterised by his ability to communicate directly with his target readers without talking down to them. He can also make the fantastic and the magical perfectly plausible. He also has that rare ability to tell a high interest story in language that is accessible to young readers and manages to combine this with keeping the adult ‘supporter’ interested too. His books are ideal first novels for children who have perhaps struggled to become independent in their reading. But most of all Trevor Forest is simply a wonderful and truthful storyteller. The Wishnotist is the latest example of this fact. It’s the third Tuesday of the month so it’s book review time. This month I have two books from the same publisher – more in a minute. Before the book crits however, I thought now might be a good time to state exactly what the Write Enough book review policy is. Mostly I review books that I’ve bought because I wanted to read them for pleasure, enlightenment, or entertainment. But I also review books that I’ve been specifically asked to review by the author or publisher. 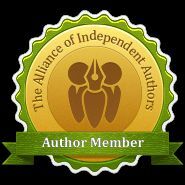 I’m keen to review other ‘indie’ authors (like myself) as well as traditionally published ones. I have eclectic tastes – ranging across the genres and including non-fiction, but literary fiction does tend to get my pretentiousness radar going into overdrive. Whatever the category, I always aim to be honest, constructive and never nasty. I will say if I disliked a book, but always with the proviso that in the end reviews come down to personal taste. Sometimes I will also submit a review to Words with Jam, the bi-monthly writers’ magazine that I contribute to. And so to this month’s brace of books. Both sent to me by the publishers – Polygon. 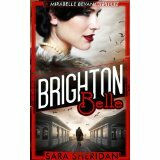 The first one is Brighton Belle by Sara Sheridan – a writer I’ve reviewed here before. And the second is Time & Tide by Shirley McKay. I have previously reviewed ‘The Secret Mandarin’ and ‘Secret of the Sands’ by bestselling author, Sara Sheridan. I very much enjoyed both novels so I was delighted to receive a review copy of Sheridan’s latest. ‘Brighton Belle’ is designated as The First Mirabelle Bevan Mystery and is published this month by Polygon in hardback and e-book. It will be available in paperback in July. There’s always a slight worry when coming to read the latest book by an author you love. What if it doesn’t live up to expectations? There was no need to worry in this case. ‘Brighton Belle’ is another very engaging read from this talented author. Sara Sheridan can be relied on to be original in character, setting and plot. Her books push at the genre boundaries. ‘Brighton Belle’ is part (recent) historical, part crime and part thriller. I was hooked from the start. Set in post-war Brighton, the story’s heroine, Mirabelle Bevan, works as a secretary in a debt collection agency. She wants a quiet life after her role in the Secret Service during the war and following the death of her lover. However, she’s soon overtaken by scary and mysterious events. She and her sidekick, the marvellous Vesta, have to turn detective to solve various possibly linked crimes of fraud, murder and kidnap. They are involved in an illegal exhumation, breaking and entering, and helping a killer flee the country – all in ultimately good cause. There’s darkness, suspense and surprises throughout. It’s gripping. I love the originality – Mirabelle, a 1950s independent white woman and Vesta, a 1950s independent black woman – ‘doing it for themselves’ long before it was fashionable – and feminism wasn’t even a gleam in her mother’s eye. The descriptions of Brighton and of the post-war era are charming and hugely atmospheric and the pace is brisk. And, at the end, the scene is well and truly set for further adventures for Mirabelle and Vesta. I also hope there’s more to come of DS MacGregor. There was a definite frisson between him and Mirabelle. I can’t wait for this trios next outing. As I don’t read much historical fiction, this probably isn’t a book I would have chosen for myself. But the nice people at Polygon sent me an unsolicited copy so the choice was made for me. 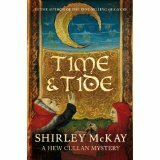 I hadn’t heard of Shirley Mackay, the book’s author, before – but I saw from the book’s cover that ‘Time & Tide’ is – the third Hew Cullan mystery – so she’s obviously an established author. And speaking of the cover – it’s a Bruegelesque beauty. I judged by the cover and decided to give the tale a go. As it turned out, the cover sets up the novel perfectly in its time and place. The hero is Hew Cullan, a lawyer, in the town who, somewhat reluctantly, teaches at the university. Following a shipwreck, the town’s bakers and millers are keen to get their hands on the windmill that was lashed to the deck of the stricken ship and survived the boat’s demise. The sole human survivor from the wreck dies before he can confirm who owns this technological innovation. All sorts of intrigue, trickery and, even, murder ensue as vested interests seek to establish their right to the windmill. Hew is dispatched to Ghent, the survivors home town to try to sort out matters once and for all. This sort of mission is much more appealing to him than the life of an academic. The resolution of the mystery is certainly surprising and that, along with the hint of a love interest for Hew at the close, all made for a thoroughly satisfying read. Mackay’s period detail and her descriptions of the town of St Andrews are spot on. The plot is clever and the writing sharp. But it’s the characters that really stand out. All are vivid and credible. And for me it was the female characters that made the most impression. Hew’s sister, Meg, a healer, psychologist and therapist, despite not being eligible to study at her brother’s college due to being female, is a wonderful creation. She causes her brother to wonder at ‘the secret art of women’ on more than one occasion with what she knows or works out. As well as Meg, Maude the landlady of the inn, Beatrix the widow of the shipwrecked sailor and the nuns at the closed community of women in Ghent are all impressive and rounded characters. So if you like a historical novel, a crime thriller and a mystery and you’re looking for something original and rather different within those genres then I can highly recommend ‘Time & Tide’.